Prices are depending on duration of your stay resp. seasonal demand. It will ALWAYS be lower than on any other booking platform. Discounts offered from three nights onwards! All rooms are equipped with direct-dial telephone, broadband Internet connection, SAT.TV - HD Quality and room safe (laptop-size with an electrical connection). 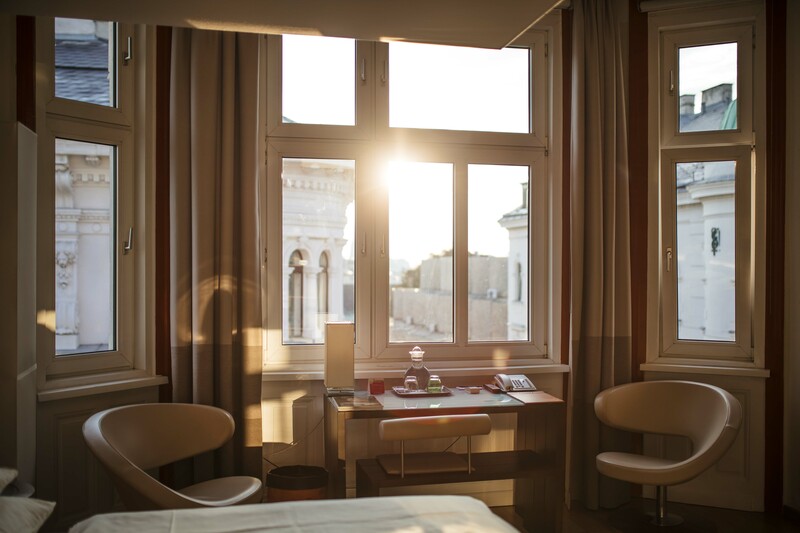 You are perfectly served by the room-, laundry- and concierge staff. 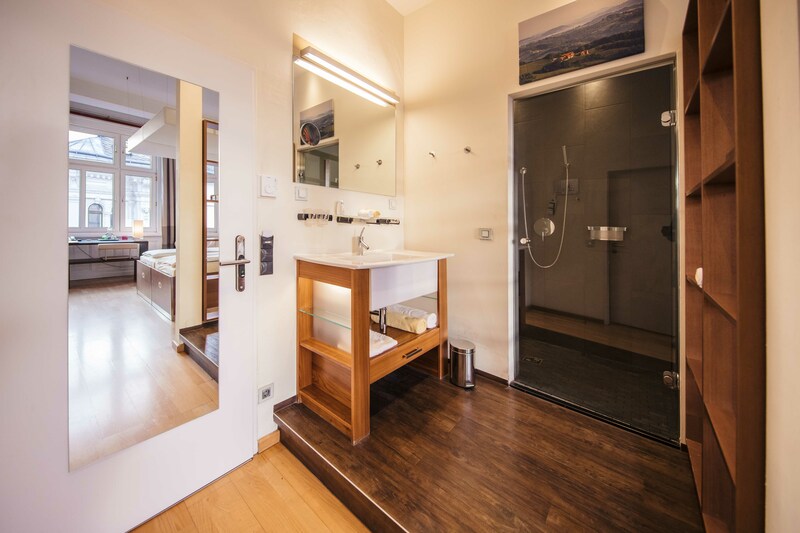 In the bathrooms you will find a bathrobe and slippers, and there is a hairdryer at hand. All prices are per room and night incl. all taxes and duties, excl. breakfast. Children up to 12 years in their parents' room are guests at our hotel (applies for family rooms). We can also accommodate babies / minors in a baby cot. 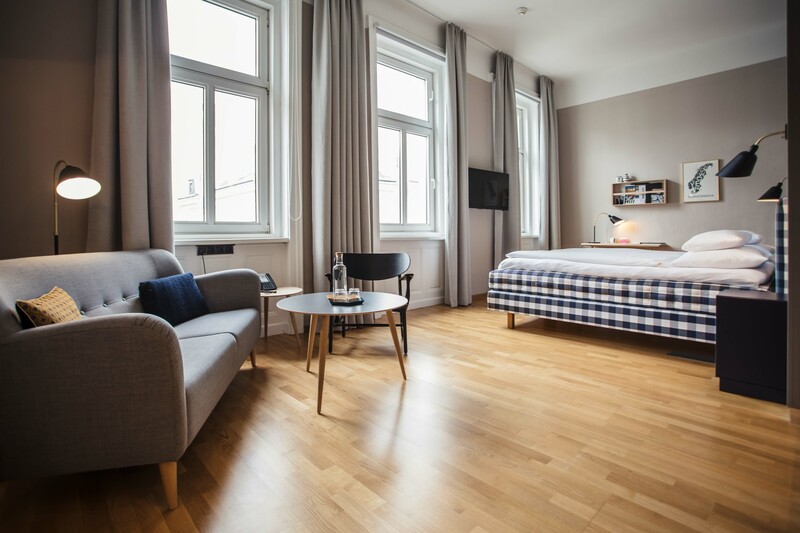 If you prefer two interconnecting rooms, please see for further information either under "Atelier Suite" or "family rooms"! We charge € 18,00 per person for our exquisite breakfast buffet with selected local specialities. "Coffee & croissant" for € 3,00. Breakfast for children under 6 years of age is complimentary, children between 6 and 12 years pay € 9,00.